Dexter Yin Yu Wen - Driven to Achieve Dreams! “Don't be afraid of looking foolish by asking why something should be done the way it should be just because it has been commonly accepted for years,” says Dexter Yin Yu Wen. Hailing from Malacca, Malaysia, Dexter Yin Yu Wen is currently living in Kuala Lumpur, which is the capital of Malaysia. Leadership, entrepreneurship and technology interest him the most along with his free time passion of building networks with like-minded people. “Reading and music really fantasize me. However, reading itself is not sufficient. I test, experiment and apply the knowledge that I acquire by solving existing problems,” he says. Even before entering the University of Nottingham Malaysia Campus (U.N.M.C), he was the AFS Malacca Chapter President. From the foundation to 1st year of University, he was involved in AIESEC as a team leader and as the Vice President. Along with this, he has also been Adam Khoo Youth Division Coach, One Young World Ambassador and ASEAN Ambassador in the ASEAN in their 60 days project. “During the 1st year at university, I found that some of my friends and me had some great ideas; however, we couldn’t realize them due to financial matters,” he mentions. Therefore, in 2012, after his 1st year at university, he challenged himself to establish the Youth Entrepreneur Society (Y.E.S) as a platform for students to realize their ideas into reality. At present, Y.E.S has evolved as the first student incubator in the University of Nottingham Campus (U.N.M.C) to which he is extremely thankful for providing a conducive environment for learning and providing an opportunity to foster his entrepreneurial skills. So far Y.E.S has spread to some part of Kuala Lumpur and Malacca. Youth Entrepreneur Society (Y.E.S) mainly aims at organizing projects and start-ups. Dexter believes that it is essential to be involved in organizing projects before starting up any venture because that is the process to build a foundation. “Organising a project acts as a learning experience to lead and manage a team and resources, finding ways to raise funds, learning to market the projects and many more,” he says. Furthermore, the objectives of Y.E.S are also to raise awareness and to teach about entrepreneurship. It also provides a platform for students to convert their ideas and their inventions into successful innovations. Thus, this develops their talents and abilities for their future career. The other objectives of Y.E.S are to recognize social problems and to use entrepreneurial principles in organizing, creating and managing a venture to achieve social change (a social venture). Since the establishment of Y.E.S more youth are interested to be an entrepreneur and to start their own company. Fundamentally, Y.E.S is made up of five pillars such as; Media, Health, Environment, Technology and Finance. This is to cater to different interests of people. Recently, Y.E.S expanded to Media and Finance sectors. “In coming three years, we are looking forward to expend to Technology, Environment and Health sectors. I foresee Y.E.S to expand to Asia Pacific region in the next 10 years. Along with various challenges for expansion, there are many opportunities at the same time,” expresses Dexter. Dexter was fortunate enough to be among the 700 ASEAN leaders in Malaysia who met President Barrack Obama during the Young Southeast Asian Leaders Initiate (YSEALI). One of the biggest turning points was faced by Dexter when he was extremely inspired by the words - “Go Big or Go Home” by Joel Neoh, the Founder of Groupon Malaysia, at the Youth Nation Summit (Y.N.S) in 2011. “I can still remember his words and how they impacted me,” Dexter expresses. 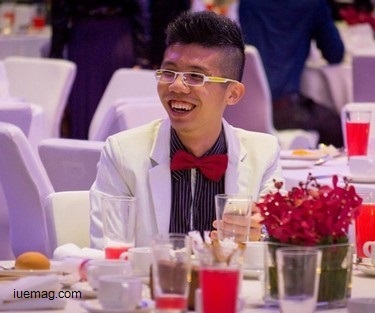 During this Y.N.S, Dexter was selected to be the top 20 youth to meet and get mentored by the Prime Minister of Malaysia. “Since then, my life has changed a lot and I've felt that I have a mission which is bigger than my own life,” he says about the incident. “I would be glad if the youth discover their potentials and turn their ideas into innovations. One must be ready to try new things, step out of comfort zone, make mistakes, never be an expert who evaluates things and judges them as either "doable" or otherwise. You’ll always be able to build something better if you feel that what you have right now isn't enough,”- Dexter Yin Yu Wen. Any facts, figures or references stated here are made by the author & don't reflect the endorsement of iU at all times unless otherwise drafted by official staff at iU. This article was first published here on 26th April 2015.